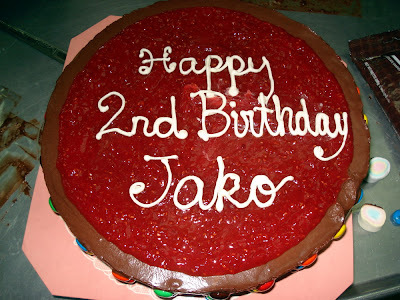 My godson Jako turned two yesterday. His mom, having tasted my chocolate mousse cake at a friend's birthday dinner, ordered the same cake. This was the second time she asked me to make her son's birthday cake. Last year on his first birthday, I made him a chocolate cake with chocolate buttercream frosting. 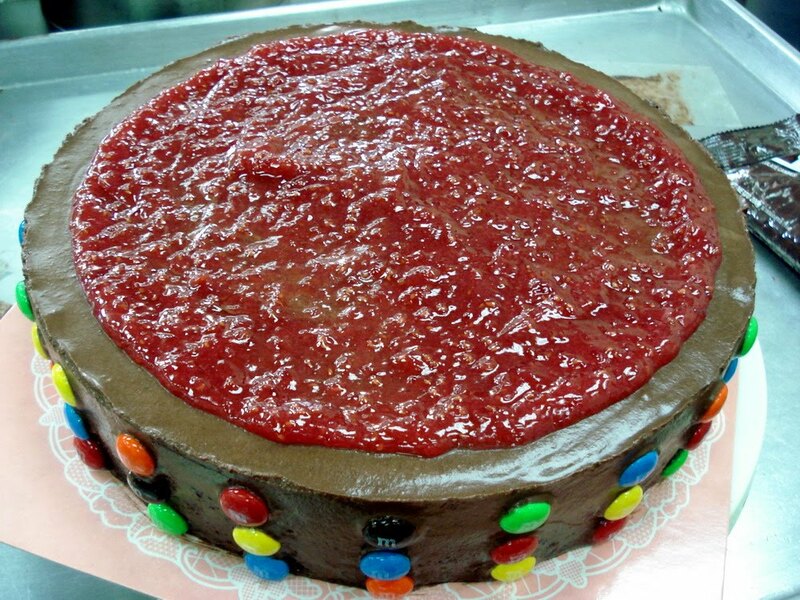 Anyway, when she called to say she wanted chocolate mousse this time, my mind started to visualize the cake. I wanted a decoration that would fit the occasion, a cake that would look pleasing to the kids' eyes. It's a children's party after all. I googled children's birthday cakes to get ideas. Most cakes I saw were wrapped in fondant. 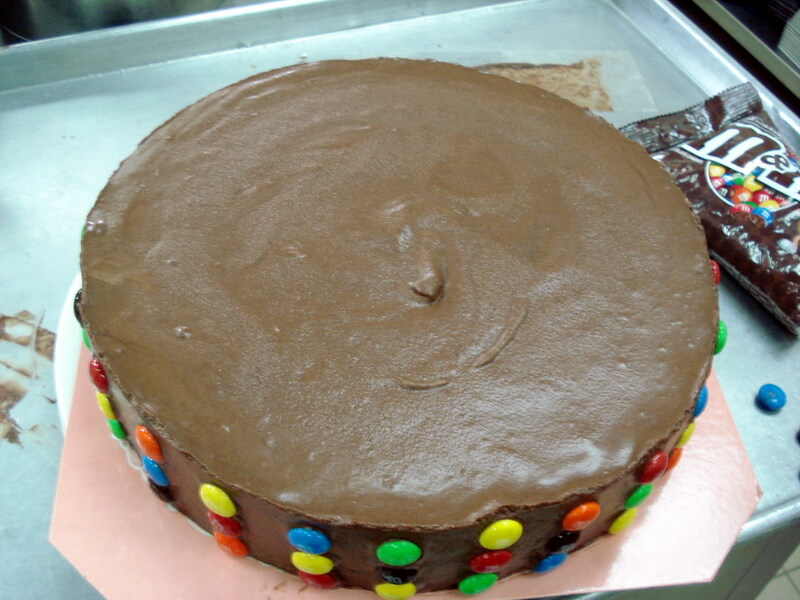 I could make fondant-wrapped cake but with all the work I do at the bakery ( I do all the work from weighing to packing), I was afraid I wouldn't be able to finish it on time. 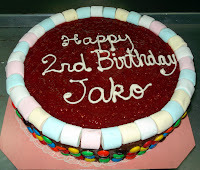 So I continued my search and found some that inspired me to create Jako's birthday cake. The early stages of decorating. 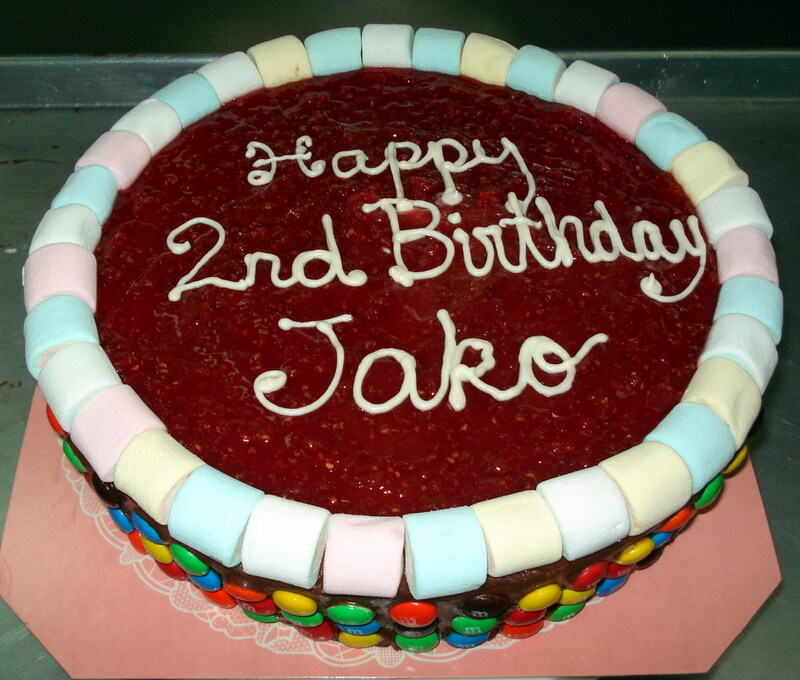 I spread raspberry jam on top and left one inch space along the sides to make room for more decoration. I finished the inscription before adding more decorations. I arranged the marshmallows on the edge. 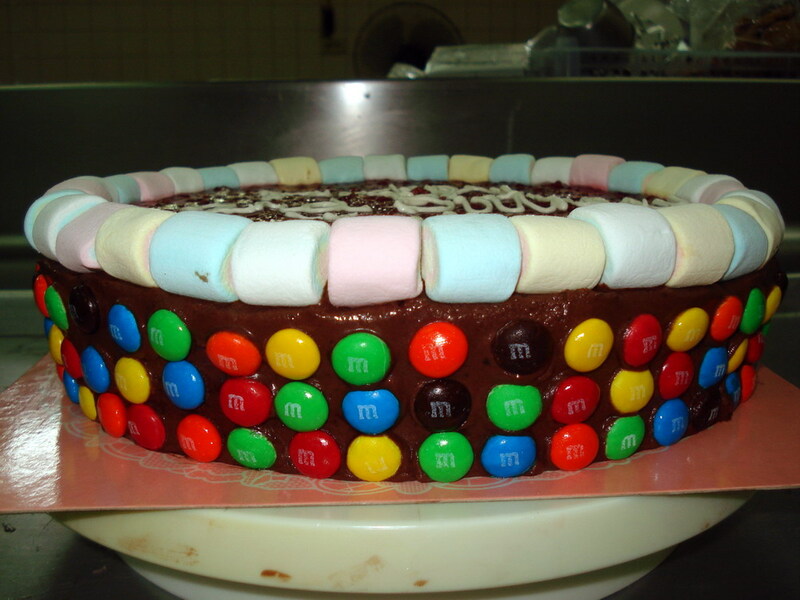 I like uniformity so I carefully stick the M & Ms on the sides with the letter M facing outward.